What is your project at Ocelot? 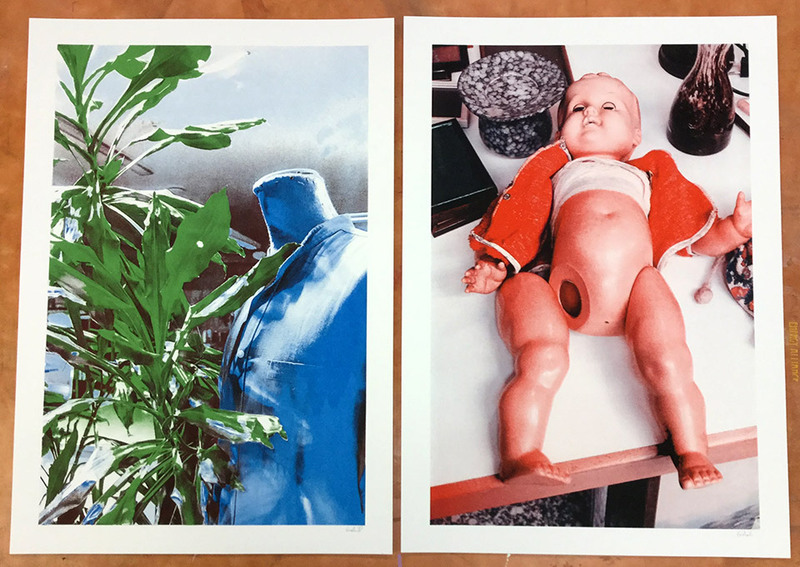 I’m screen printing photography and I’m trying to create new methods of doing so. Originally I started to make black and white prints with just one layer, but then I started to break up the image into different color layers and edit them, and print those on top of each other. Do you feel like you discovered anything new while you were here? I think these prints are a next level for me definitely, they are some of the best work I’ve ever done when it comes to screen printing. There are many factors. One is that here no one is telling me how I should work and I am really free to work how I want to work and to develop my ideas. Also, the equipment and the space here is very good to work with. For example the vacuum exposure unit is something I had never worked with before. I’ve seen different screen printing places but this is a very professional environment for me to work with. Compared to your initial idea about how much time you would spend here working, you actually ended up spending three or four times that, right? How did that happen? Once I saw how well things worked here, I thought I really need to make use of that. Also when I saw how much I liked my first results and I saw development compared to the work I had done before, I thought I really have to get more into this and spend more time. How did you find Ocelot? The residency at Ocelot is part of an Internship Semester at my university in Germany. My teacher had been to Detroit before and has family here. She also knows Lynne Avadenka from Signal Return, who gave me your contact. Did your process become more streamlined? Are you more confident about it? Yes. I knew that I wanted to work with the halftones and get them to be more detailed. You saw that it took some time in the beginning to figure out how to set it all up, but once it worked, it really worked well. Today, for example I was able to finish this one print before lunch; I have never been this fast before. The more I do it the faster it becomes. I don’t think I’ve ever seen anyone work as fast as you, or as precisely. But the amount of pre-press work you do is not measured here. I have to say the actual printing process doesn’t take that much time compared to the work that goes before that. I have to separate the color layers and make sure they are ready to print on transparency. And before that I go out and take the pictures, and all of that is part of the process. How much screen printing had you done before this residency? I first printed about five years ago. Mostly I started with designs I drew, not photography. For the last three years, I mostly print photography. 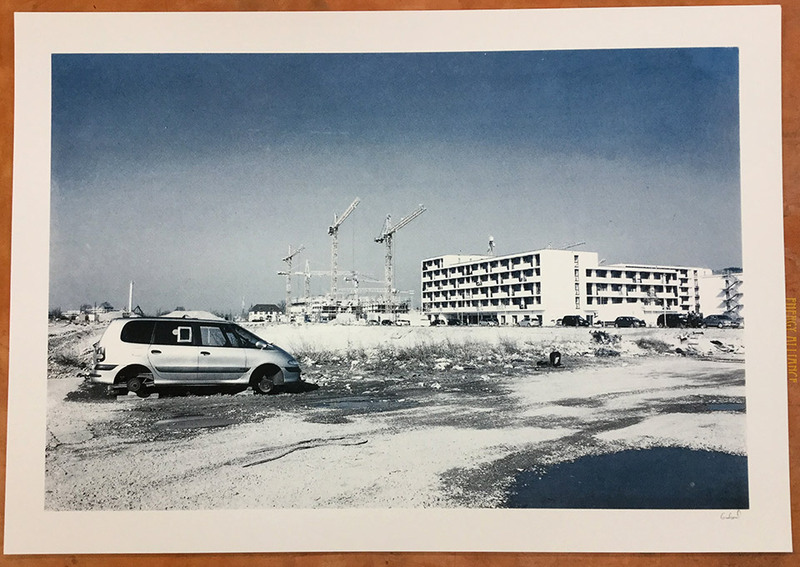 How do you think screen printing a photograph changes the way the final art is being seen compared to the way the photograph is being seen? I’m trying to emphasize certain moods or elements in that picture through color. This is a way to add a special quality to the picture with the balance of color. The colors have to be chosen very carefully. It’s very important that the colors work well together. For example the lady in the red dress is surrounded by blue. This is not something you see in the actual photograph, it’s there a little, but I’m emphasizing what’s there mostly through color. Screen printing also has a quality especially because of the halftone dots, that makes it different from digital printing, and makes one want to take a closer look, so it pulls one closer and creates more interest in looking at the image. So you’re not just recreating the photograph. No, no. When I finish this series, I’m looking to the new challenge for me, which is not just using realistic colors that I draw from the photographs, but use any color and maybe make it a bit surreal. 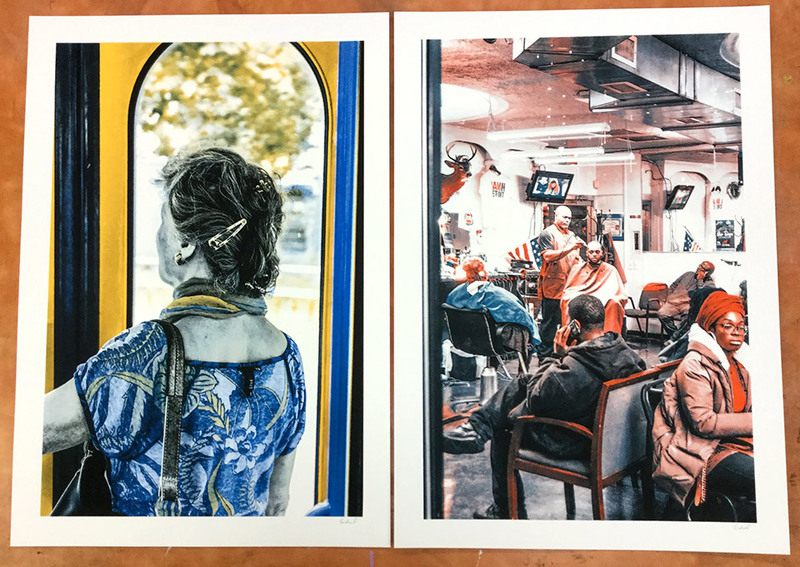 Would you apply the same changes in color to the photos if you were to print them digitally? No. I’m not a fan of digitally editing photographs. I like the way they come from the camera. That’s the magic about screen printing. It makes it work. If I printed the photo out with different colors digitally, it just wouldn’t look good. How is your experience of Detroit? It’s been a good and interesting experience. Detroit is a really big place with many different corners. I see a lot of contrast, and I think it’s very inspiring. Is the city different from your previous idea of it? I try not to have too much of an idea of a place before I experience it because I want to be open to see it for myself, but I am surprised in a good way. It’s a nice community of artists and very inspiring. How do you feel about the Portrait Studio we set up for the Ocelot community? It really worked well. If you sat down and plan it out exactly how it should go, that’s just how it went even though we didn’t even have any idea of how many people would come. It was just the right number of people, and it was a very nice atmosphere for me to meet people in. Some of them I had met before and some not, but it was a good chance to talk to them. I think they were comfortable, no one was forced, it was a good vibe, and the pictures came out very well. I got to spend fifteen twenty minutes with each person or group, and that’s really what I like to do.